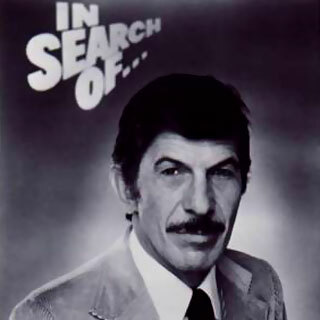 How many of you remember watching In Search Of...? It's hard to believe that before the Star Trek films, it was the best way to get your dose of Spock. And your dose of Bigfoot, Nessie, UFOs (well before X-Files), the Bermuda Triangle, Psychics, and on and on for 6 seasons. Back then we didn't have the internet to read about forteana, conspiracies and ESP, so In Search Of... filled in for us. I loved watching this show and Nemoy's voice over was perfect. Being born in1972, I still think of him as much for this show as for Star Trek. These days, I still watch shows like Ghost Adventures, Dead Files and Haunted Collector, so I guess I've never really stopped searching.